Hoverboards or self-balancing scooters have become really popular all over the world. Some riders use them for fun and recreational purposes or to move around short distances. Hoverboards are also used more by workers when moving across factories and warehouses, making it fit for commercial use. With the many riding options, which include learning, normal, and advanced, make the driving experiences safe and sound, everyone can learn to use the hoverboard. One of the most significant concerns about a hoverboard is its weight limit. The weight limit of the hoverboard is crucial in determining its performance and longevity, so it’s important to know how much your scooter can take. You might be wondering how much can a hoverboard actually hold and today we are going to find out the answer. We are also going to discuss the implications of weight limit and what might happen if you exceed or fall below them. Why Do You Need a Weight Limit in Hoverboards? What is the Weight Limit for Hoverboards? What will Happen if I Cross the Weight Limit? What will Happen if I can’t Meet the Minimum Weight Limit? Why is it Necessary to Meet the Minimum Weight Criteria? 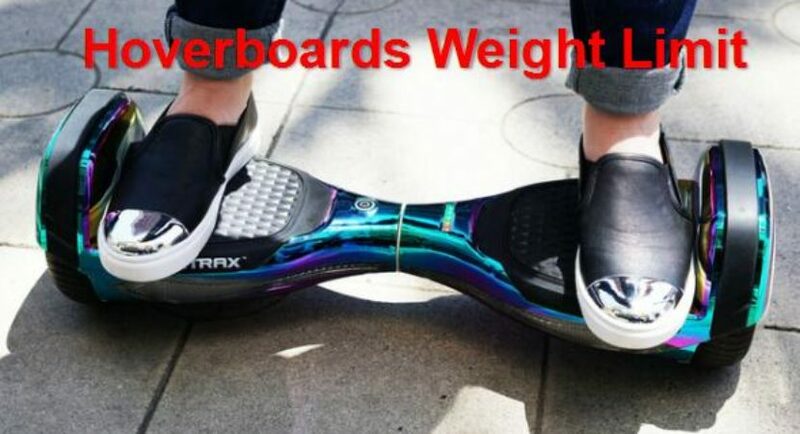 Can I Ride any Hoverboard if I Meet the Weight Criteria? The weight limit of a hoverboard is important for different reasons. All manufacturers declare a minimum and maximum weight limit for their hoverboards. It is recommended that you operate within these weight limits for best results. The weight can also help know whether the hoverboard has good range and what’s more, can run at speeds that are faster than what your average hoverboard provides. Most hoverboards come with a minimum capacity of 44 lbs. If you or your kid weigh less than this, then it may not be safe to ride the scooter. The reason is, the hoverboards depend on body weight for control and manoeuvrability, so a low body weight can mean that you won’t be able to ride it safely or properly. The maximum weight is also crucial as is set by the size of the wheel, materials used to make the board, battery capacity and so on. 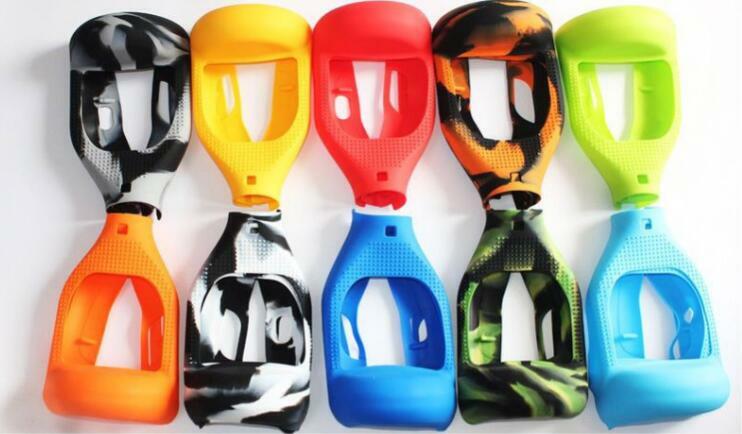 For example, most hoverboards use polycarbonate or ABS plastic as their frame material. They are really durable, but still can develop cracks or break under the heavy weight. So it’s imperative that you don’t put excess weight on the hoverboard which could crack the frame and damage the electronics inside. Other components of the hoverboard also have a close relationship with the weight limit. For example, the screws, wheels, wheel axles, brackets and other elements of the board can get damaged if you overload the board on a frequent basis. Also, how much power the motor of your hoverboard has is also related to the weight. That means if you go over the maximum limit, you might get less power or make the motor work to its maximum power. All hoverboards have to comply with UL 2272-certification before they can be sold. Before they are sold to you, manufacturers test their operational limits comprehensively. As a result, the weight limit seems to be more based on actual metrics than being arbitrary. Some hoverboards allow a higher weight limit of around 420 lbs and are ideal if you are a big fellow or need to carry weights around. For kids, the weight limit is generally less and the hoverboards can hold around 180 lbs or less. We will now check out the weight of some popular hoverboards in the market just to give you an idea of what to look for. 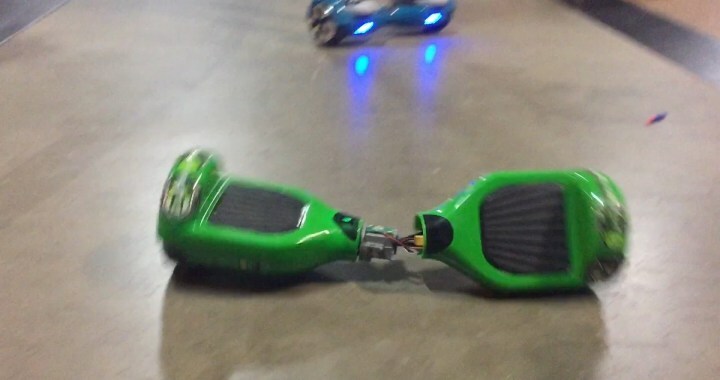 The Swagtron Swagboard Pro T1, and the HOVERZON S Self Balance Hoverboard all have a maximum weight limit of over 220 lbs. On the other hand, some of the other competitors like the CHO All Terrain Balancing Electric Scooter can accommodate 264.5 lbs while a few others can go as high up as 420 lbs. For kids, the Surfus Junior Waterproof Hoverboard has a maximum weight limit of 132 lbs. The Segway miniLITE allows a weight limit of 175 lbs. The Hoverheart Hoverboard and Swagtron Swagboard Classic have maximum weight limits of 180 lbs and 187.4 lbs respectively. To sum up, the average maximum weight limit of a hoverboard for an adult is 220 lbs. For kids, the average is around 140 lbs. You should check the weight limits before buying a hoverboard to ensure you can carry the required weight. If you weigh a few pounds more than the weight limit of your hoverboard, then it may not be a problem. But if you see that you weigh more than 15 pounds or more than the weight limit, then it’s a better idea to search for a heavy-duty model. Practically speaking, your hoverboard is not going to break down if you cross the weight limit one or two times. Generally, manufacturers will provide an in-built safety margin along with the declared weight limit. So if there is a situation that you need to go overboard with the weight, go ahead as your board won’t fail if you cross the weight limit just one time. But going over the weight limit frequently or on a regular basis can lead to a number of problems. First, your hoverboard and its components will encounter quick wear and tear and may not last as long as it should. You may notice cracks on the outer shell or the axle may become loose, damaging the wheels. In worst cases, the wheels might also come off. Exceeding the weight limit will also have an adverse effect on the motor and the battery. They will need to perform at maximum output and will not be able to provide the performance as expected. If you put excess load on the hoverboard, the motor may find it difficult to handle the extra weight and may not accelerate to the specified top speeds- your board will move slower when it is overloaded! If you make the motor work on maximum load, then it will also make an impact on the performance of the battery. You will derive inefficient power and the batteries may run out quickly when they are carrying a heavy load. So it doesn’t make sense to cross the weight limit on a regular basis. The board may break or malfunction and you can get injured as a result. Surely that is something nobody wants! So it’s always better to check the weight limit before you buy a hoverboard. The things that you carry with yourself also adds to the weight. So it’s imperative that you check the total weight of everything, including your backpack which can push the weight beyond the recommended limit. For example, if your weight is 220 lbs and you have a backpack of 30 lbs, then you will be crossing the recommended limit for many hoverboards. The carry-on weight is also crucial for hoverboards that are used for industrial or commercial purposes. Workers may need to carry goods and other materials across the warehouse which will add to the total weight. For this reason, you should look for a high-capacity hoverboard that can accommodate higher weight capacities for such uses. If you are an adult, then it won’t be a problem to meet the minimum weight capacity declared by the manufacturer. The problem is more prominent when you’re looking to buy hoverboards for kids. The maximum weight limit for hoverboards for kids can be anything from 132 lbs to 180 lbs. On the other hand, most manufacturers recommend a minimum weight of 44 lbs to ride a self-balancing scooter. Like we already said, hoverboards depend on your body weight for controlling the speed and direction. You have to lean forward to move the board forward and shift your body weight backward to speed down and brake. So if you can’t meet the minimum weight requirement, you will find it difficult to move ahead or stop. In worst cases, your kid may not be able to slow down and can hit obstacles or other vehicles. Of course, nobody wants their kids to go to the ER for a hoverboard accident! The minimum weight is also crucial for making turns of the hoverboard. You need to push your foot and ankle to turn left or right. So if your kid weighs less than the recommended limit, he will not be able to take clear turns. So, it’s important that you buy a hoverboard for your kid that he can ride safely by checking the minimum weight limit. As you can see from the weight limits, some of the hoverboards for kids can accommodate the weight of adults. But it’s never a good idea to ride a kid’s hoverboard even if you meet the weight requirements. The models are generally scaled down to meet the physical builds of children and are not suitable for adults. You can damage the board or even injure yourself by falling down. So always stick with an adult board if you are an adult! The same goes for kids- don’t buy them a hoverboard for adults even if they meet the minimum weight criteria. The weight limit of hoverboards are not for fun and should be an important consideration when you are choosing a scooter for yourself or your kid. The weight limit is dictated by many things such as the material of the frame and wheels, motor output, battery capacity and so on. The manufacturers conduct an array of tests before declaring the weight limits, so you can be sure they are grounded in reality. Exceeding the weight limit regularly will increase the wear and tear of the board. You will also not be able to get the desired performance, and it may become slow and sluggish. Also, it is not going to last as long as the manufacturer intends it too! You can easily know the weight limits of different classes of hoverboards by reading this post. You should consider them whether you are buying a board for yourself or gifting. Meeting the lower weight limit is also crucial for kids and their safety. You can look for features like Learning Mode which help your kid to ride their board without any concern. Most adults will not find any problem with the maximum weight limit of 220 lbs. But if you weigh more, then you should consider the all-terrain hoverboard models. They are produced with durable materials and have a powerful motor, allowing them to pull a heavier load. But you will need to pay more and often the models are less compact and heavier than other classes of hoverboards. The weight limit of hoverboards should be among your top considerations while choosing one. 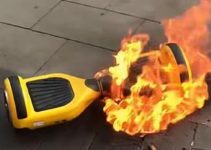 Why Hoverboards Catching on Fire and How to Prevent? Some recommended products of this site may use affiliate links. Hoverboardforu.com is a participant in the Amazon Services LLC Associates Program, an affiliate advertising program designed to provide a means for sites to earn advertising fees by advertising and linking to Amazon.com.